Customer is able to change flange type if required. To ensure maximum durability and longevity, our Leaf and Lint Strainers come complete with Stainless Steel baskets rather than galvanized. A G10 Glass epoxy lid also benefits the end user as it enables them to easily see if the strainer needs emptying. 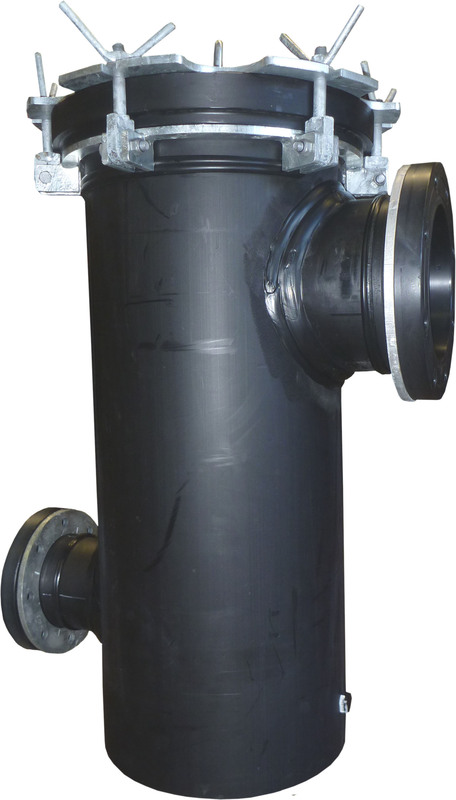 Polyethylene construction eliminates corrosion issues at lighter weights. Galvanized swing away toggles for ease of access for basket maintenance. Basket made from 316 Stainless Steel mesh.